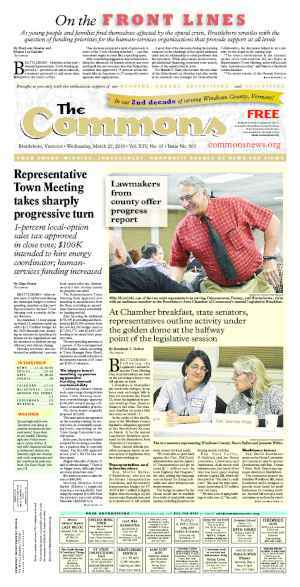 Windham County workers earn $6,000 to $10,000 less per than nearby regions. Why? BRATTLEBORO—The picture postcard of Vermont: a vibrant state offering a high quality of life. Residents guard this image and attempt to maintain its status quo in a fast-moving period in history. In Windham County, however, the lush, vibrant postcard has faded for those struggling economically. The county’s workers earn less money compared to their peers in Keene, N.H., or Northampton, Mass., or in the rest of Vermont. Windham County breadwinners with a bachelor’s degree take home about $6,000 less than workers in other regions in Vermont, about $7,000 less than workers in Cheshire County in New Hampshire, and almost $10,000 less than workers in Hampshire County in Massachusetts. “We may not be who we want to be, and until we recognize that, we won’t be who we can be,” said Jeffrey Lewis, executive director of Brattleboro Development Credit Corp.
Data released late June by Maryland-based ViTAL Economy Alliance (VE) detailed the area’s 10-year decline that has resulted in lower wages and a chicken-and-egg-loss of workforce and jobs. VE, a coalition of economic development consulting firms specializing in rural communities, has contracted with the Southeastern Vermont Economic Development Strategy (SeVEDS) to help the regional economic committee design strategies to respond to Windham County’s multi-year recession. FairPoint Communications has financed VE’s involvement with the SeVEDS process through a donation of $180,000. VE’s numbers boiled down to a county’s economic growth, reflected in a quality of life that lags behind Vermont and the rest of the nation. There’s a “disconnect” between the perceptions held about Vermont and economic decision-making, said Mark Madsen, principal of PriorityOne Advisors, a firm that oversees VE’s economic development consulting services, and a member of VE. People move to the area based on the perception of a quality lifestyle, he said. Economic realities, however, make it difficult for residents to enjoy the life. Lower wages, not enough immigration, and an undereducated younger workforce topped VE’s urgency list. The county’s lower wages have contributed to people vacating the region in favor of better paychecks. Still, said VE representatives, wages scratch only the surface of the overall effects of the recession on the local economy. Loss of population, declining jobs, lack of immigration, low levels of education, and poor health of the middle-skilled workforce all have impacts on the faltering gross domestic product (GDP), an internationally recognized measurement of a healthy economy. “If you don’t know what you’re working with, you can make some pretty broad assumptions [about building a response strategy on a foundation of data],” said VE founder Frank Knott. Some demographic information — like that the county has experienced a steady loss of residents and that Vermont’s population is aging — has been common knowledge, said Madsen. According to U.S. Census Bureau numbers, Windham County lost “a significant” portion of its 25-44 age bracket, he said, while the rest of the United States has held steady with the aid of immigration. 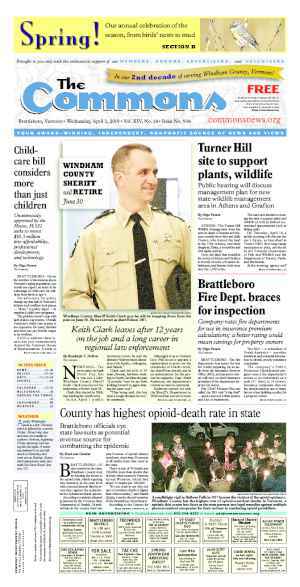 Windham County’s population loss of 25-to-44 year olds has accelerated since 2000, dropping from 14,000 to fewer than 10,000 by 2008. Baby boomers make up the bulk of the aging population nationwide, said Knott, but other New England areas, like Cheshire County, N.H., have retained more of their younger population. The 25-44 age cohort, comprised of people of family-rearing age and the bulk of an area’s work force, is vital to a region’s economic growth, said Knott and Madsen. VE projects that Windham County will need 33,000 workers in this age bracket by 2015, but according to VE’s projections, if the county continues losing its prime age workforce at current rates, it could find itself with a shortage of 16,000 workers. Digging deeper, however, Knott and Madsen said the data show that, despite Vermont’s reputation of possessing a highly educated workforce, Windham County’s 25-44 demographic lags behind the state as a whole in education. 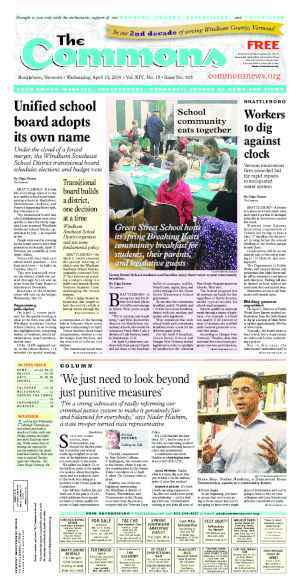 According to 2009 U.S. Census Bureau numbers, 15 percent of the 18- to 24-year olds in Windham County lack a high school diploma compared to the state’s 10.9 percent. In contrast, most of the county’s businesses demand middle-skilled workers, said Knott and Madsen, but commuters from outside the county hold most of the area’s higher skilled jobs. Windham County has also failed to attract immigrants, said Knott. That’s significant, in part because the county isn’t “birthing” a replacement population, he said. According to numbers from the U.S. Bureau of Economic Analysis (BEA), Windham County ranks behind the rest of Vermont and the United States in both percentage of population born in-state, and percentage of foreign-born population immigrating to the area. 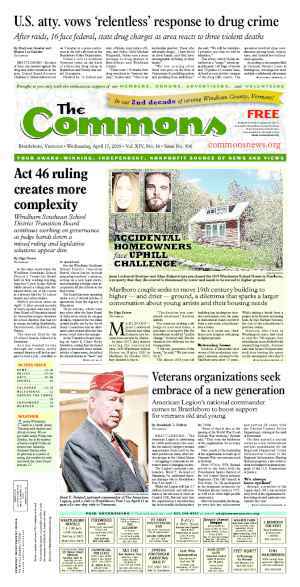 The number of people born in other states who have relocated to Windham County totals 53.9 percent. At 41.8 percent, compared to 59 percent for the nation as a whole, Vermont’s indigenous population can’t fill work force holes created by retiring baby boomers. In addition, the county has attracted fewer immigrants, 3.5 percent, compared to 12.5 percent for the United States and 3.7 percent for the state as a whole. “This country is a country of immigration,” said Knott. Demographic research, he said, has shown that immigrants have helped revitalize the United States while filling the workforce gaps left by the larger baby boomer workforce. Over the past 10 years, immigrants have filled 90 percent of the workforce gaps at all skill levels in the United States. Knott said that the U.S. as a whole could have found itself in the same situation as Windham County, if not for the immigrants who have filled these empty jobs. Immigrants also help maintain cultural connections to their birth countries, said Knott — connections to emerging markets like Brazil and India that could prove useful for Windham County. Knott and Madsen said Brattleboro-based World Learning, which “provides education, exchange, and development programs that cultivate the global leadership and social innovation needed in a shrinking world,” according to the organization’s website, could play a more prominent role in attracting professionals (immigrants or U.S.-born) with international experience to the region. “Forget your presumptions about what they [World Learning] do,” Knott advised the SeVEDS leadership, noting that the people moving through the organization have experience serving across the globe. He added that the Church of Jesus Christ of Latter-day Saints in Salt Lake City, Utah, has leveraged a similar international asset — their missionaries. Most Mormons don’t live in Utah, yet nearly all pass through Salt Lake City for their missionary training. Most regions “walk right past what’s unique” about their area, said Knott. “Standing still is a decision,” Knott said. In Windham County’s case, that decision to preserve the “postcard” aspect of the region has created a downward momentum, he said. In 1776, agriculture led the economy, said Knott. By 1860, the Industrial Revolution took hold, with manufacturing comprising about 33 percent of jobs in the United States. Now, manufacturing accounts for only about 11 percent of jobs nationally, and the U.S. economy survives mostly on service and knowledge-based jobs. But, according to VE, 30 percent of jobs in the Vermont are in manufacturing. And while the knowledge-based economy nationally now stands at 30 percent and growing, Vermont is holding steady at 3 percent. “People don’t see the actions [taking place] within the postcard,” Knott said, and once an area hits a tipping point, its economy will either excel or move downward. Knott and Madsen said Windham County can view its acceleration through the population drop since 2000. Still, they say, the county can reverse these downward trends. The next step requires building a strategy that incorporates quantitative goals, like increasing wages or the number of households and businesses with access to broadband Internet, with qualitative goals like making neighborhoods safer, the county’s environment cleaner, and its downtowns more vibrant. Windham County’s economy can’t support “smokestacks,” said Knott, but it can support other types of business sectors, like the arts and light manufacturing. But the community must say “yes” to a new direction rather than remain a victim to current economic trends, said Knott. “This is the most important decision,” he said.